Australian teenage sailor Jessica Watson might have risked her life sailing alone around the world but she still sees the looming Sydney-Hobart, the most popular bluewater yacht race in Australia, as one of her bigger challenges especially in the "more racy" little yacht she will be skippering. 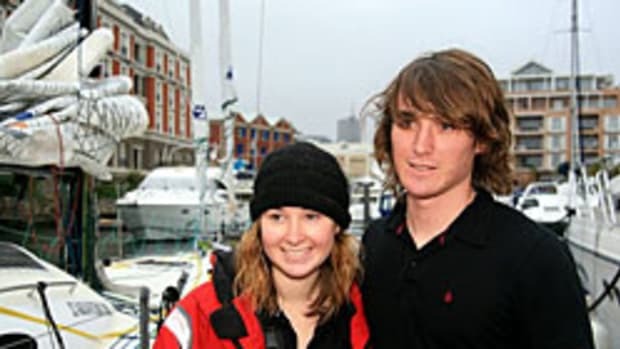 Watson, 18, is the youngest in a crew of 10, with the eldest member barely 21. "Doing the Sydney to Hobart is something every young sailor dreams of doing one day; it was one of those things at the back of my mind," Watson The Mercury newspaper. She said learning to lead a team was a big task and communication was vital. Watson hopes her team wins the Sydney 38 division.